← What Was Your Book? 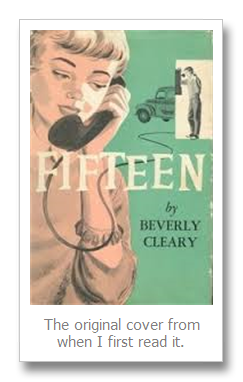 Cleary novel which I discovered in 6th grade, Fifteen. 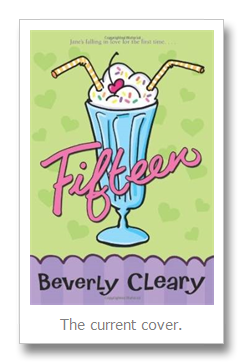 Beverly Cleary is probably best known for her middle grade books about Ramona Quimby but she also wrote several good teen reads. Fifteen is my favorite of these. 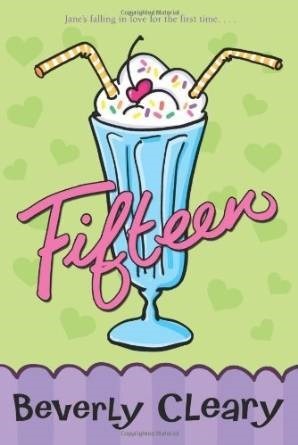 Even though it was written and set in the 1950s, I can see a lot of parallels between Fifteen and my own teenage years in the 1980s. Jane Purdy, the main character, meets dreamy Stan Crandall one summer afternoon while babysitting a rambunctious 8 year old. That was pretty relatable. While cute boys can be few and far in between, they can show up in the most unlikely places. Thanks to a family with two teenaged brothers who moved to our neighborhood the summer before my sophomore year, I too had similar babysitting capers. I even remembered meeting a boy at a church function once and a week later he called and asked me to go to the movies. 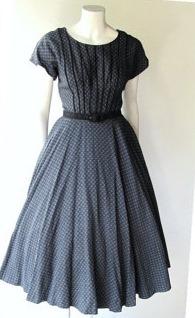 Unlike Jane, however, I was not excited about the encounter, nor did I think he was dreamy so I told him no. Looking back I realize I was not only a brat to this poor boy but I probably missed out. gets insecure when she doesn’t hear from him on a regular basis. She even displays some of my own bratty behavior when she turns down an invitation to a school dance from another boy because she was waiting for Stan to ask her. Karma comes back to bite her when she finds out Stan is taking another girl and poor Jane is faced with days of misery assuming that her time with dreamy Stan Crandall is over for good. She even displays some scandalous behavior (well, scandalous for back then) that she is immediately ashamed of. If you are not familiar with this delightful teen novel I highly suggest you pick it up. In addition to taking a time capsule back to the 1950s, you may also remember some of the spark you had for similar experiences in your own teen days. You will also get to find out what Jane does to get her mojo back. 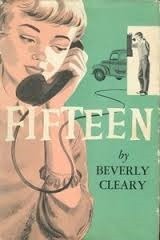 I will forever love Fifteen by Beverly Cleary and give it a permanent Shrimp Coma Mrs. B. 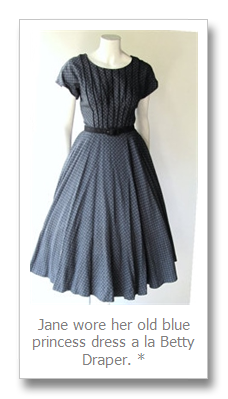 *You can get this dress from pintuckstyle’s etsy shop. This entry was posted in Uncategorized and tagged Beverly Cleary, Fifteen, young adult. Bookmark the permalink.